Dating business is on a rise these days. Many people are opting to go for the online dating websites to find a right partner. People these days have become quite busy and do not have enough time to go out and find an ideal partner for them. Especially, when it is concerned with the marriage purpose. Most of the people these days are putting their faith in the online websites only. It not only helps in saving the time but it also erases distance like nothing else. Thus, it is becoming the primary choice of almost everyone. Is it a good idea to go for the religious dating business? The question that strikes in your mind when it is concerned with the marriage is how smart it is to go for the religious dating. Religious dating is perhaps the smartest option in hand these days. Almost everyone looks to marry a person from their own religion only. It is one of the shrewdest dating business ideas. If you able to implement it in the right manner, then the things are only going to go upwards for your business. You can have some consultation with the experts before starting your business to make sure that you are starting on the right note. How should the front page of the website look like? This is a question of million pounds when you are going to begin a dating business which is concerned with religious dating. The home page shall have an image of people from various categories and partners from the same community. You shall also get to mention the details about various communities. This is to catch the attention of the audience that makes a visit to your website. You all know very well that the first impression is the last impression. Thus, you shall be very careful about the front page of your website. Why is it important to add as many categories as possible? 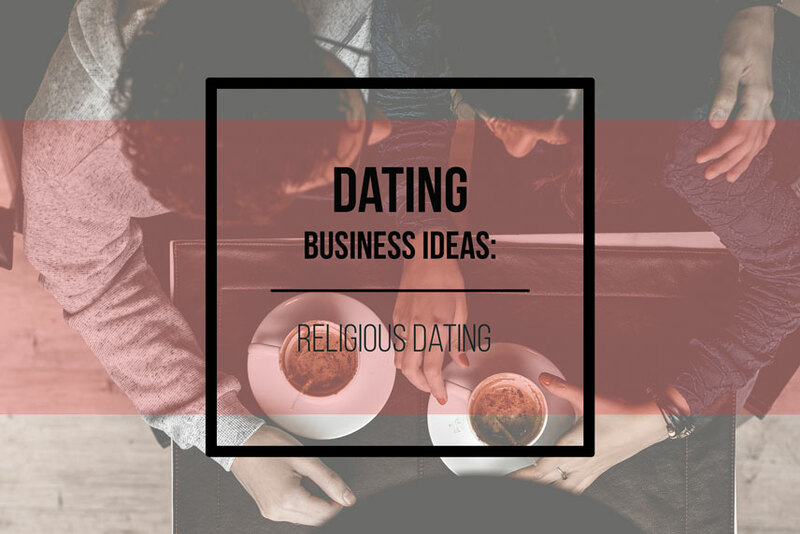 Another very important thing that one needs to do before getting involved in a religious dating business is adding as many categories as possible for easy filtration. You must go for a proper research work. Make sure that you are able to add maximum religion categories on the website. This will make the job easier for the audiences. Thus, the chances that they will stick by your business increase in an inclining proportion. You shall also be very peculiar about the appearance of each and every religion. This will also catch the attention of the visitors. How important is the filtration and showing people what they want? This is probably the most important criteria. It is also the deciding factor whether your business is going to take off or sink. You all know the fact very well that people opt for these websites in order to save time. Thus you should look to minimize their search time. You shall have a proper membership form. Take the members directly to the search suggestions that they have opted for in the form. If you are looking for a Christian, there is no point of time showing you the profile of a Muslim Pathan. Thus, as a company you need to make sure that you are able to take the members to their perfect matches in the shortest possible time. For this, your search filters shall be very accurate. This will have a huge impact on your rating by the customers. You shall also look to maximize the search filters to make sure that the members are getting the best results. This is how they will benefit from your business. How important are the customer reviews? If you want to succeed in any business, respecting the opinion of the customers should be your top priority. There is nothing different with the dating business as well. You need to thoroughly go through the reviews of the customers and keep coming up with changes based on the same. One shall understand that it is the audience that decides the fate of the business and thus you need to modulate as per their choice. Religious dating is one of the best dating business ideas. However, make sure to add as many religion categories as possible to make it easier to find the perfect match.